When you are ready to upgrade to a luxurious, performance SUV, Land Rover Colorado Springs is the place to go! 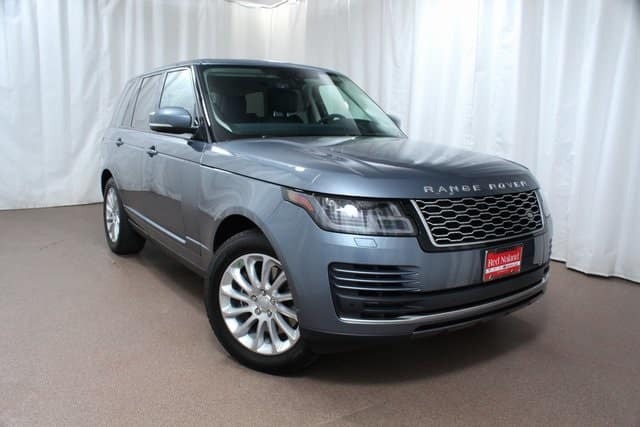 If you really want to spoil yourself, we have this 2018 Range Rover Supercharged HSE SUV in our inventory! The Byron Blue exterior pairs perfectly with the Navy/Ivory leather interior. This model is equipped with a 3.0L supercharged engine which will get you an estimated 17 MPG city/23 MPG highway fuel economy. That is pretty impressive considering the type of power and performance you will experience with this engine. Some of the other features you can enjoy include Activity Key, tow hitch receiver, Terrain Response, Towing package, and head-up display. We can help you through the finance process, whether you’re looking for the best deal for purchasing or leasing. So stop into Land Rover Colorado Springs today to take a look and even take a test drive of this luxury, performance SUV.